Have you heard of chickpea meringue? If you haven’t, where have you been? Well, probably anywhere but the vegan online forums where chickpea meringue has taken over the world in 2015! It hasn’t really hit the allergy community yet, but it’s BIG in the vegan one. The world of egg-free meringue has changed forever thanks to Joel Roessell of Revolution Vegetale who I believe is the true originator. The idea seems crazy, and perhaps a little bit… gross even, but it works a treat. His idea is using the discarded water (brine) from a tin of beans or chickpeas to be whipped up into an egg white substitute. Then Goose Wohlt, who can be found at www.aquafaba.com brought the concept to the masses (by which I mean the online vegan community). 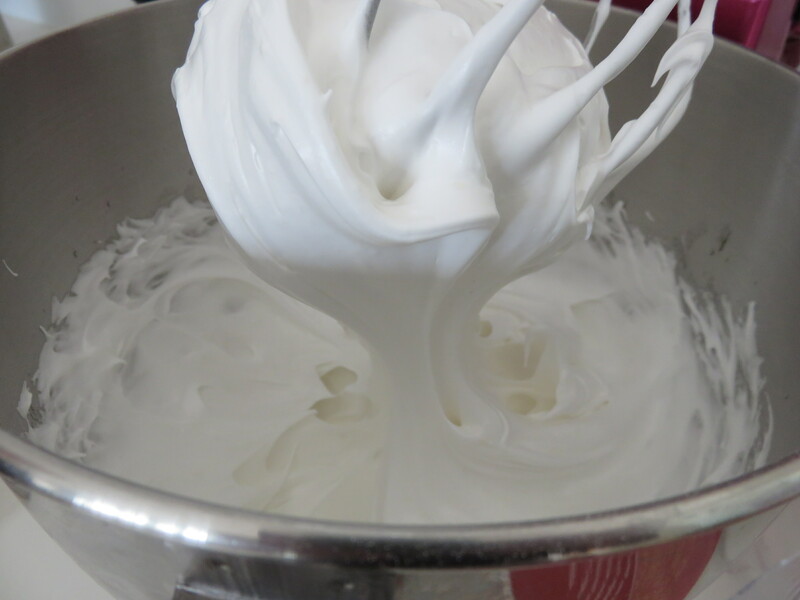 If you are tempted to try, and I urge you to, do think of posting your recipes on the Facebook page Vegan Meringues: Hits and Misses, as the recipe has been developed as a collaboration ( and do join the FB page as there are some amazing experiments taking place). 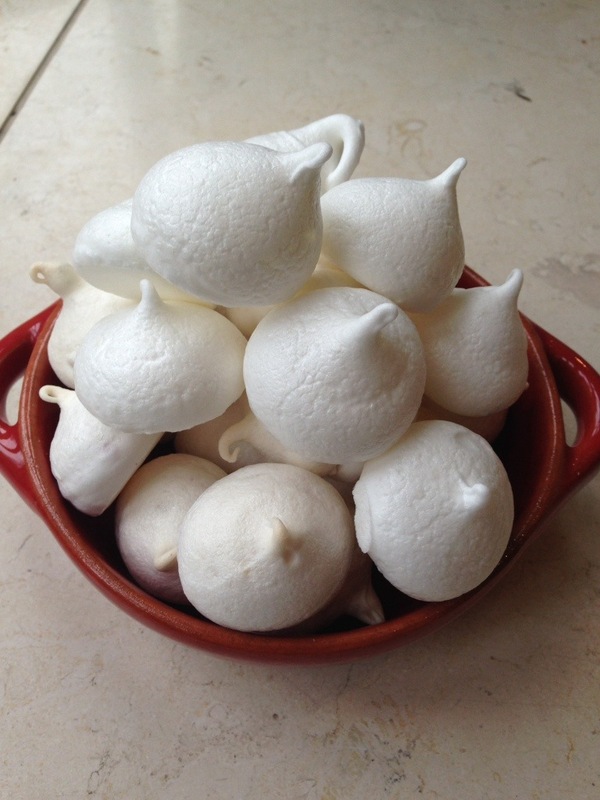 I first heard of the idea from my online friend Somer McCowan of Vedged Out fame and I have to say I was sceptical – a meringue made from the water from a tin of chickpeas and some sugar! To be honest, it does sound utterly bonkers doesn’t it? Besides I’d previously created my own egg-free meringue of which I am inordinately proud, surely my recipe couldn’t be trumped by a can of chickpeas, could it?! Well, I still stand by my recipe – when it works it gives fantastic results, but it can be a tricky beast – there are a fair few processes and unusual (and expensive) ingredients and sometimes it does fail – but when it does work the taste is absolutely perfect. But I had to try this new kid on the block. So with some trepidation I gave it a go. Surely a meringue made of chickpea water isn’t going to be nice? But the first thing I noticed is how easily you can create the soft fluffy, meringue peaks, those voluminous pillows of meringue cloudy fluff with just two ingredients – you simply cannot fail to be impressed. A stand mixer helps because it really does need serious high speed whipping, but seriously you get clouds of the stuff from one tin of chickpeas (or more accurately I should say the water you’d normally throw down the sink) and half a cup of sugar. Having tried the recipe a few times I believe that a pinch of Xanthan gum gives a better finish, but plenty of people prefer just the bean water and sugar. The flavour… well, GREAT was the first feeling. 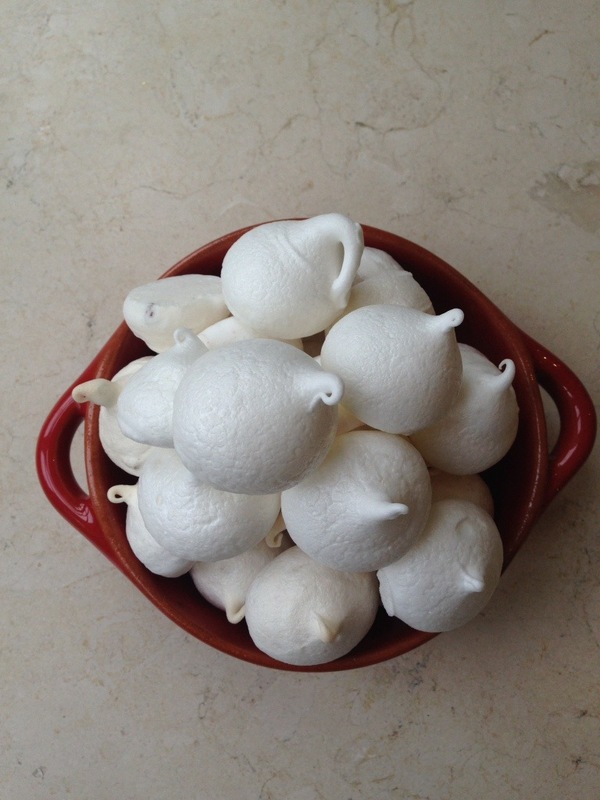 But I’d add that a slight beany flavour comes through as the meringues sit so would encourage you to consume them as fresh as possible. And using vanilla as well as the sugar in the making is a nice touch for flavour. So over the next few weeks I’ll be taking you along on my journey of discovery of previously thought impossible egg-free meringue-based dishes. As mentioned before, have a look at that Facebook page for further inspiration. I’ve got one or two ideas that I don’t think anyone has tried yet, so keep watching here too. 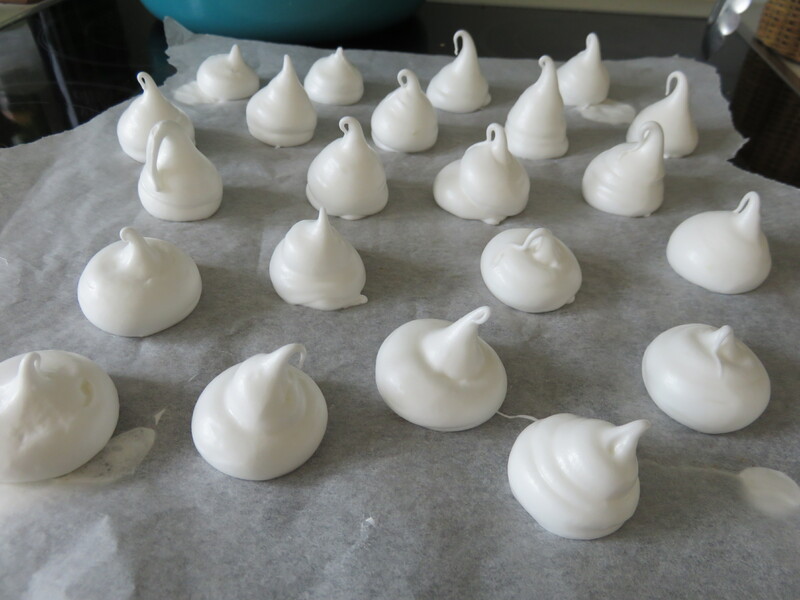 So, starting with the basics…..
makes a good 3-4 trays of meringues! – Start adding the sugar, 1 tbsp at a time, letting it fully combine between each addition. – Peel off the paper and try not to gorge yourself on too many! Keep in an airtight, dry container. How fascinating! I’m going to try this! Thanks for sharing! thanks! chickpeas are taking over the internet!!! Great idea, they look amazing. Super cool! I never would have thought of this in a million years. I need to start playing around with this! Is it also possible to make this with the water of cooked beans? I rarely buy them canned, but I’d love to try this one! Hey, Lucylox! What degrees temperature your recipe is stated in? F or C? You mentioned a beany flavor coming through — I wonder if you are using chickpeas without salt added? Acc’d to what I’ve read, it’s important to get salt-free chickpeas just for that reason. Xanthan gum is spelled with an “x”.